With ZB out that means Josh Harvey Clemons gets the snaps with first team D. He’s skinny for a LB but seems to find the football. Best part of camp - OL vs DL drills. Phil Taylor looking spry. Daron Payne looks wildly strong. One thing noticeable early on: #Redskins have Alex Smith on the move a bunch. Nice pass breakup from DJ Swearinger on deep ball to Paul Richardson. Dunbar in good coverage too. Couple of sick catches here during 11-on-11 drills. Alex Smith gunned a back shoulder throw and Josh Doctson made the contested catch on Josh Norman. Then Brian Quick went up high and stole a 30-yard dart just in front of corner Fabian Moreau and went for a “touchdown”. 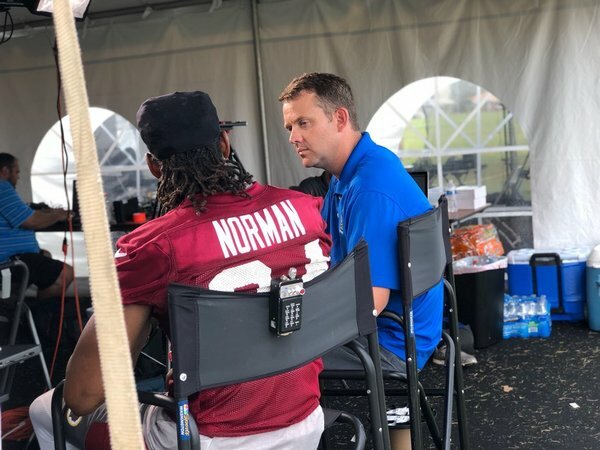 Chris Thompson says he’s just trying to get a feel for Alex Smith on an individual level. 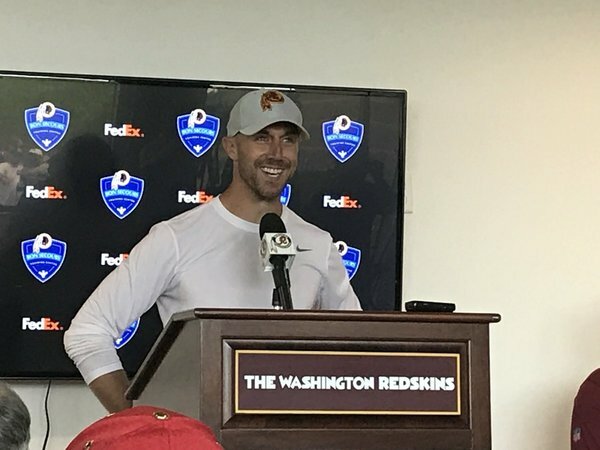 Alex Smith: “I LOVE going away to camp...” Says it’s tough to find time to bond with teammates as much once you have a young family. LB Zach Brown is day to day with a quad strain. #Redskins ILB Zach Brown is day-to-day with a quadriceps strain. #Redskins say LB Zach Brown is going to be day to day with a quad strain. Jordan Reed having the sesamoid bone removed from each foot is kind of wacky. A stem cell shot last summer aggravated his foot pain and he was never right in 2017. Had surgery on each foot to remove those small bones and he's feeling better. Not there yet, though. 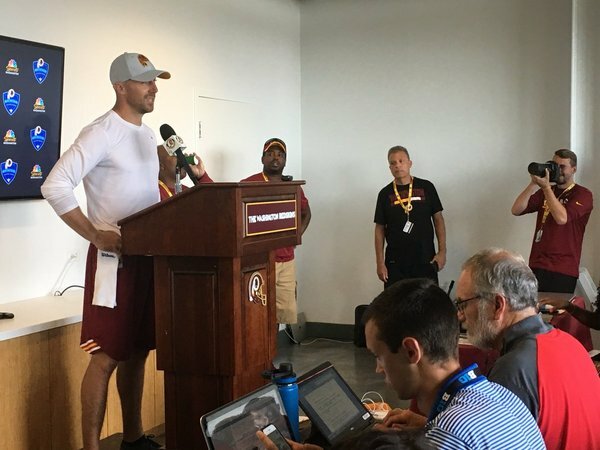 Video: Quarterback Alex Smith, entering his 14th season and first with Washington, said he hasn't plateaued. Super excited to co-host a daily show on ESPN Richmond 99.5, 102.7FM and 950 AM. Tune in now! Still have a half hour to go with @BenStandig . The @SportsCapitolDC will do 7 shows throughout camp from 3 to 4pm before giving way to @hardlyworkin950 .